Activated Carbon does not last forever. A relevant test on which to base a change-out decision is provided by PACS comparing used and unused carbons. Recommendation: PACS recommends that activated carbon (AC) users retain a sample of original (virgin) installed AC in a secure paint can with its lid firmly in place. This retained sample will be useful for testing Remaining Service Time in comparison to used AC and helps determine when to replace used AC. AC does not last forever. Before changing out used for fresh AC, we recommend testing for Remaining Service Time. Case studies have been completed for Corvallis, Oregon drinking water plant, Nalco, Smuckers, Carpenter, Leucadia Waste Water plants, DuPont, Dow, Bayer, Carbon Activated and others. Problem: Activated carbon users at municipal drinking water and wastewater plants and industrial plants need to change-out used AC with fresh. Periodically, they need a way to estimate activated carbon remaining service time for budgeting, operational control, and regulatory compliance. Change outs can cost hundreds of thousands of dollars, so it is an important decision. Solution: Activated Carbon Services PACS, Inc. developed a presumptive and definitive test to answer, “How much longer can I use my AC adsorbers?” These “Remaining Activated Carbon Service Time” tests can be provided as RUSH testing services. ASTM test methods are used: comparison of used and unused AC apparent densities, Iodine activities for aqueous applications and butane activity for gas phase applications, and Heats of Immersion for micropores. 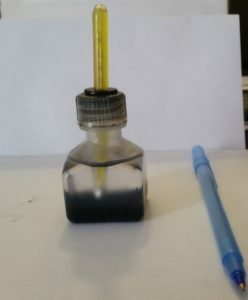 Figure 1 shows the AC Tester used for heat of immersion in mineral oil. Remaining Service Time (RST) needs to be based on relevant testing. Users of this RST test send samples every three months, and some send samples every two months to compare with their used and unused starting AC. The starting AC only needs to be analyzed one time and is used to compare with subsequent used scheduled carbon bed monitoring samples. The heat-of-immersion test is also used in the field because it is designed to be simple with minimal testing time and can be performed by an operator with minimal skill. For example, coconut-AC loaded on a ship in Asia may take 6-8 months before it is in a U.S. adsorber process. It makes sense to test the AC before it goes onto the ship. The AC can also be contaminated during the shipment and storage time. It is important to define problems accurately. This simple test is helpful. This test is not designed to replace ASTM and other test methods like GAED. It should be used to compliment advanced testing. GAED provides isotherms for any compound of interest. Isotherms enable selection of the best activated carbon for specific AC applications and how much AC is needed to solve the application problem. GAED provides distributions of adsorption energies in sorbents and the pore or adsorption volume for each adsorption energy. So GAED analysis of un-used and used AC reveals which adsorption spaces have been filled by the AC application. GAED is useful for physical adsorption applications. Hydrogen sulfide is a chemical adsorption phenomenon. So you need to do ASTM Method D-6646 for hydrogen sulfide activated carbon capacity and breakthrough volume. Running un-used and used D-6646 provides status of use. Also, measuring total sulfur on AC provides needed change-out information.